The Oscars ceremony doesn’t just honor the best movies of the previous year, it represents where Hollywood stands in the current social climate. Following the sexual assault allegations against producer Harvey Weinstein, whose movies were often lauded by the Academy, the Oscars had some major course-correcting to do. 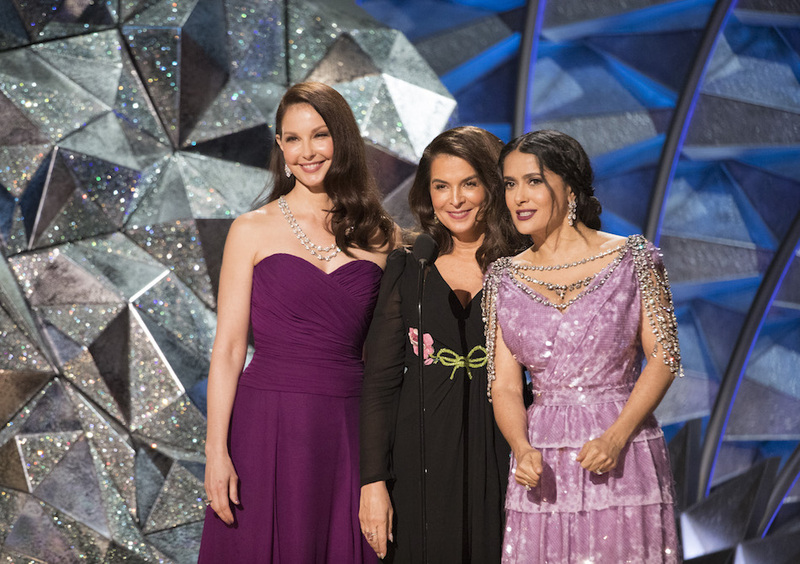 The 2018 Oscars focused on gender equality during the March 4th broadcast through who was honored, who presented, and the topics host Jimmy Kimmel tackled. The ceremony also showed just how far the film industry has to go, but hopefully, the 90th Academy Awards made you believe that lasting change — in the entertainment world and beyond — is on the horizon. 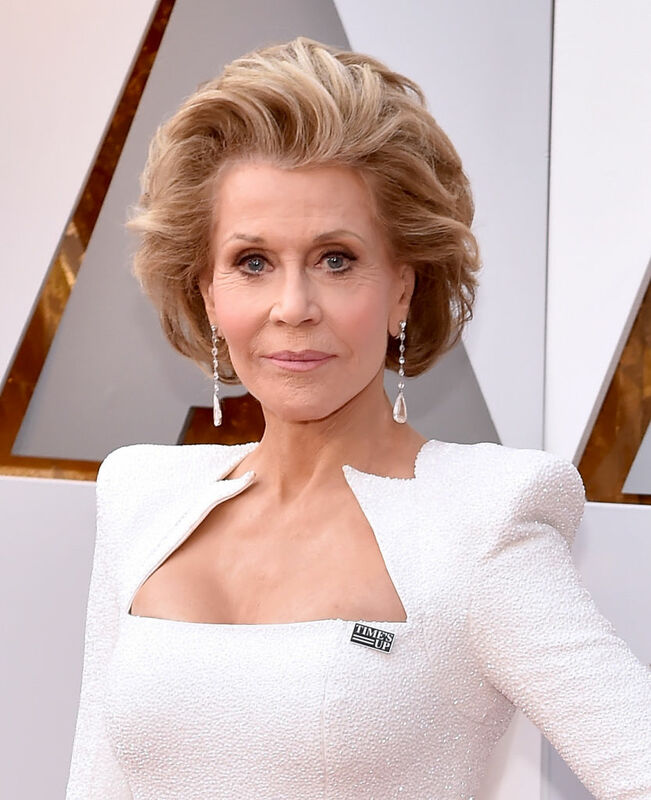 Indeed, Time’s Up pins were spotted on celebrities including presenter Jane Fonda and winners Sam Rockwell and Guillermo del Toro. There were also pins that stated “I Stand with Immigrants,” which Best Screenplay nominee Kumail Nanjiani donned. And some celebs, like Lin-Manuel Miranda, wore orange pins in support of gun control. "Over the course of this evening, I hope you will listen to many brave and outspoken supporters of movements like Me Too and Time's Up and Never Again, because what they're doing is important. Things are changing for the better, they are making sure of that. It is positive change." He also called out the importance of the successes of Wonder Woman and Black Panther. “I remember a time when the major studios didn’t believe a woman or a minority could open a superhero movie. And the reason I remember that time is because it was March of last year,” Kimmel said. And Daniela Vega became the first openly transgender person to ever present at the Oscars when she introduced Sufjan Stevens. She starred in A Fantastic Woman, which won Best Foreign Language Film. The winners also made statements about inclusion — although who was actually awarded was sometimes incongruous with the message the Oscars was striving to send. While Jordan Peele made history as the first black filmmaker to win Best Original Screenplay for Get Out, other winners cast a shadow on the message of the 2018 Oscars. For example, Kobe Bryant and Gary Oldman won Oscars, and both men have been accused of sexual misconduct. A shining example of how Hollywood is evolving was when Coco won Best Animated Feature. "Marginalized people deserve to feel like they belong. Representation matters." But it was Frances McDormand’s acceptance speech for Best Actress that best summed up how the Oscars and film industry can take actual steps toward inclusion. She asked for every female nominee to stand up —and she called on the powers that be in Hollywood to provide funding for these women’s stories. "An inclusion rider is something actors put into their contracts to ensure gender and racial equality in hiring on movie sets. We should support this for a billion reasons, but if you can't find a reason to, here's one: it will make movies better." Although the entertainment industry has a lot of work to do to reflect society, the Oscars tried to prove that Hollywood really does want to make progressive changes behind the scenes and onscreen. Whether that will come to fruition, only time will tell. The fact that it took until the 90th Academy Awards for these conversations to occur isn’t very promising. But that gender equality and representation were such a large part of the discussion on Hollywood’s biggest night is something to make you feel optimistic.